“Low-residue Euthanasia of Stranded Mysticetes,” in the Journal of Wildlife Diseases concerning the humane euthanasia of stranded whales. The work is highlighted by National Geographic. Dr. Harms is also quoted in a syndicated article concerning the continued impact of the 2010 BP Gulf of Mexico oil spill on health of bottlenose dolphins. The article appeared in online and print newspapers in several countries. Jeannine Moga was a guest expert on the WUNC program “The State of Things” on Jan. 30. She discussed “Much More Than a Pet: The Animal-Human Bond” with host Frank Stasio. Listen to the Podcast. Moga also was the guest speaker at the Science Cafe hosted by the North Carolina Museum of Natural Sciences that evening. Dr. Cory Sims was interviewed and the Rehabilitation and Mobility Service was profiled in an article “Wellness One Paw at a Time,” in the Technician. Dr. David Dorman was quoted in an article in the Fayetteville Observer that compared the recent spill of the chemical 4-methylcyclohexane methanol in West Virginia with a 2008 methanol leak in the Cape Fear River. Dr. Denis Marcellin-Little had a paper, “Evaluation of varying morphological parameters on the biomechanics of a cranial cruciate ligament–deficient or intact canine stifle joint with a computer simulation model,” published in the American Journal of Veterinary Research. “Effects of pentoxifylline on immediate and late-phase cutaneous reactions in response to anti–immunoglobulin E antibodies in clinically normal dogs,” published in the American Journal of Veterinary Research. Dr. Mark Alley will discuss animal welfare at 63rd Annual North Carolina Cattlemen’s and Dairymen’s Conferences Feb. 14-15. 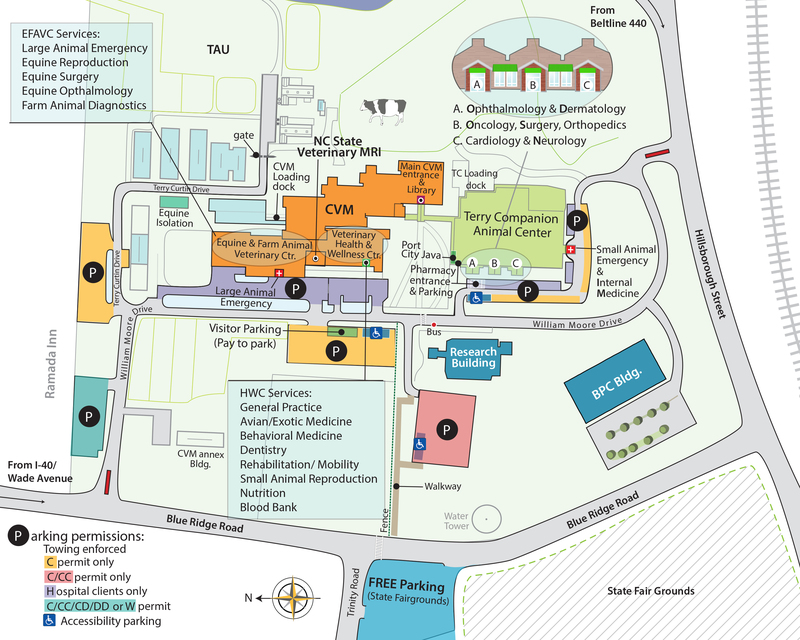 The national One Health Commission has relocated to Research Triangle Park. The relocation to North Carolina is fitting in that a group of CVM students in 2008 had the idea to meet with medical and public health students and faculty from Duke and UNC to discuss the One Health concept. The idea resulted in the creation of the One Health Intellectual Exchange Group. In a related development, area health professionals then formed the North Carolina One Health Collaborative in partnership with the Triangle Global Health Consortium. IRONDOG 5K Race & 1.5M Dog Walk March 8. CVM runners have also been invited to participate in the Triangle Paws 5K Run/Walk on March 23 to raise money for the procurement of service dogs for children with diseases such as Type 1 diabetes, autism, and epilepsy. The event is co-hosted by Service Dogs by Warren Retrievers.